This year, many of the new products displayed at NeoCon 2014 were about bringing people together in collaboration. But an even bigger percentage of the fresh office furniture design concepts seem to be designed to keep people apart—with office space dividers. That’s not a bad thing. Businesses are continuing to reduce the square footage allotted per employee. This means having good boundaries in place is more important than ever. 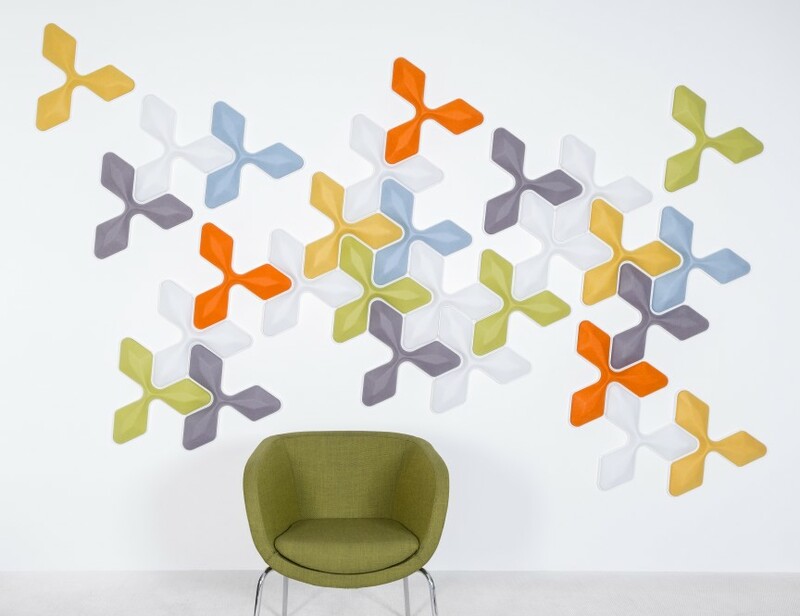 Unika Vaev debuted a modular wall system that brings a vibrant, nature inspired look to the acoustic tile market. Instead of boring rectangles, these small, sound absorbing tiles are triangle-shaped diamond clusters that can be arranged to look like foliage. Mix and match hues to create a design that fits your brand, or build an organic-looking work of art using fall or spring colors. With an NRC (noise reduction coefficient) of .70, if a tree falls in this forest, no one will hear it. Designer Stefan Borselius apparently doesn’t believe upholstery and decorative stitching should be confined to sofas and apparel. 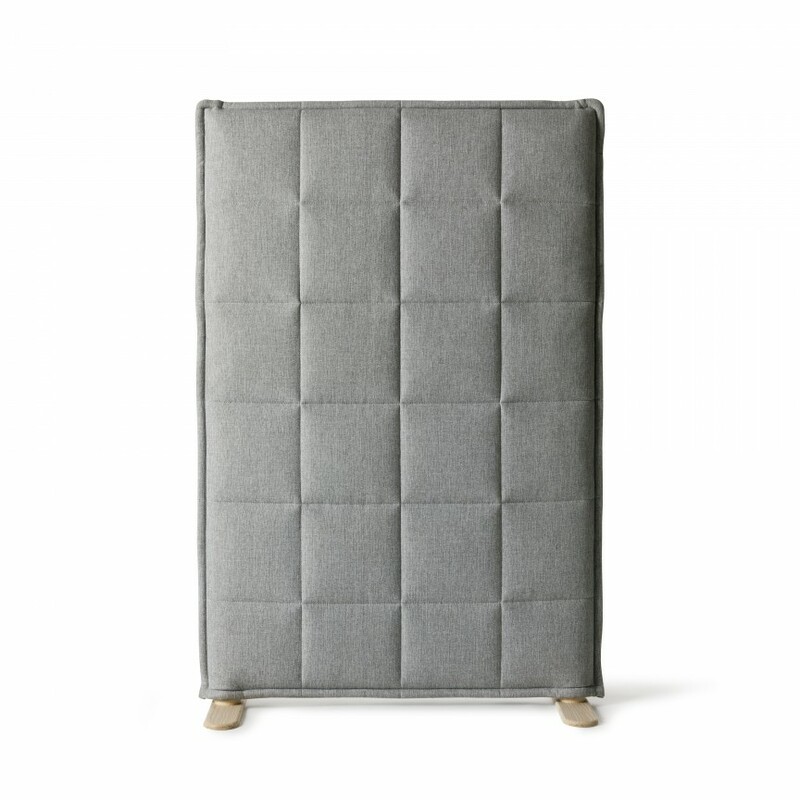 The freestanding “Stitch” panel features thick fabric that is embroidered in a bold, simple square pattern. This privacy panel sits on unstained ash legs that help it blend with a modern workplace even as the quilted fabric offers a hint of down-home comfort. 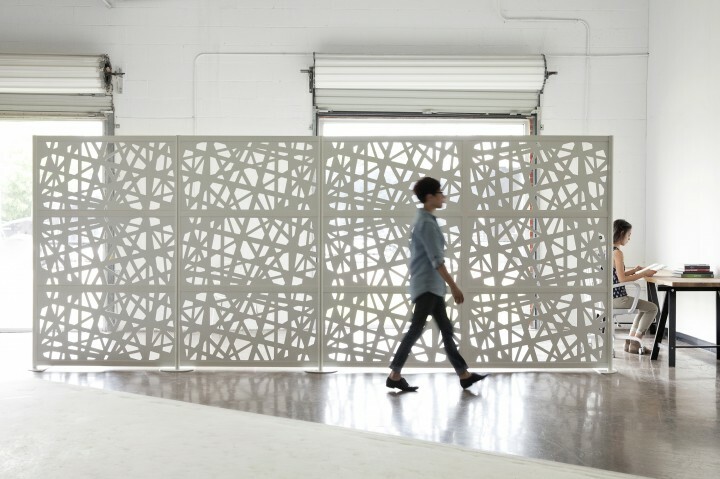 For a completely different approach to space division, there’s the WEB modular partition wall from LOFTwall. This lightweight aluminum sculpture has enough strands of material to provide a sense of privacy, but sufficient open space to let natural light shine through. With distractions reduced, employees can really get caught up in their work. For a more heavy-duty approach to mobile walls, Seeyond is offering its newest product that incorporates eye-catching angles and curves. This concept is being made available in a variety of shapes, heights and colors (with computer renderings available for space planning purposes). The walls require professional installation upon arrival. However, they can then be moved from place to place with ease due to high-performance transfer bearings in the base.